This beer packs one hell of a punch and the brewer’s at R&B are proud of that, tweeting back to me on Twitter: “It’s one of our faves for just that reason.” To be honest, I like it too, although each sip brings a slap to the face that will have beer amateurs backing away from the brew. 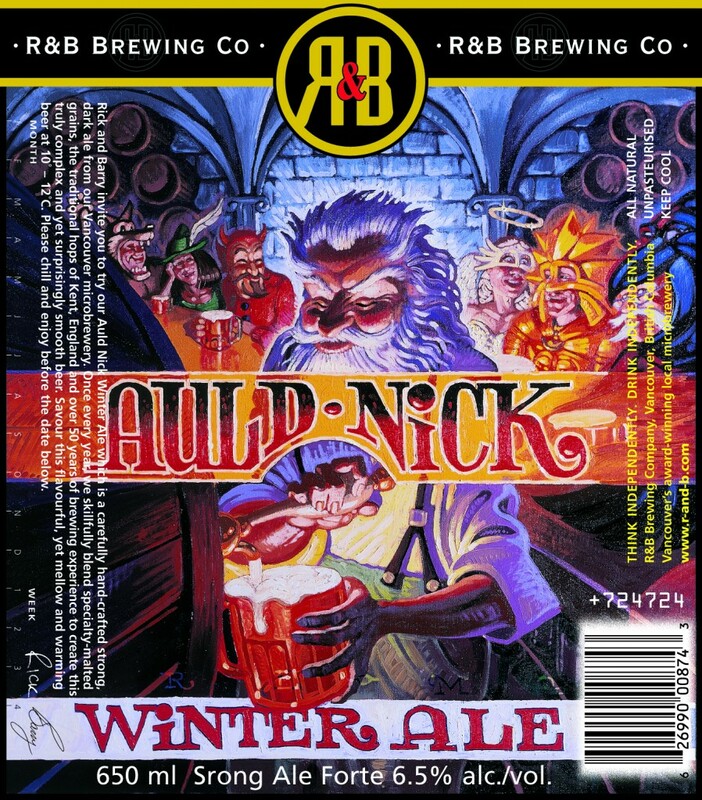 The R&B crew are also quick to note that this is not your typical winter ale, lacking the spices one would normally experience. The logo is great with Saint Nick himself pouring beer for an eclectic group of tavern visitors. After a couple more dark seasonal beers, it was nice to venture into other territory again. Despite being on the market for a few years, I’ve never tried the Blitzen Belgian Tripel until now. 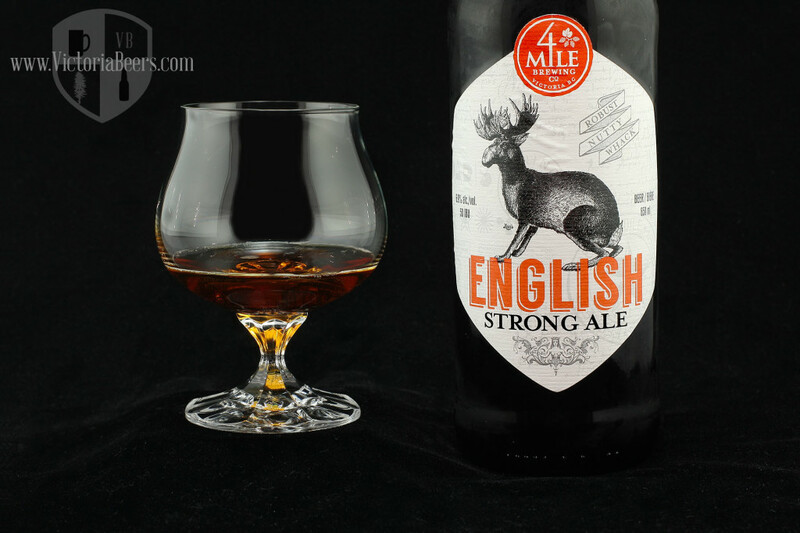 I did enjoy it and it did not taste like a 9% brew. 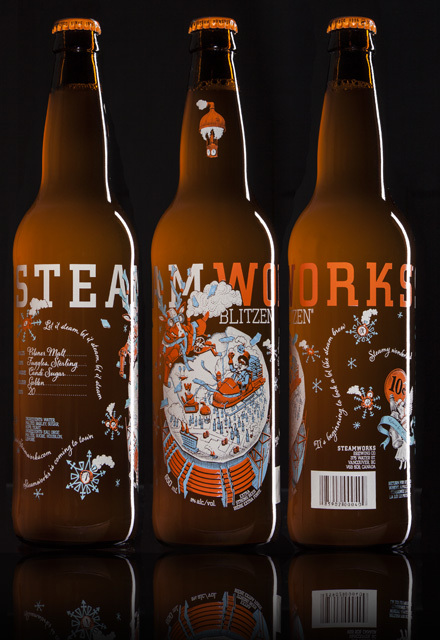 The bottle features lines from classic Christmas songs, geared towards the brewery, like “Let it steam, let it steam, let it steam!” If this beer doesn’t interest you (although it should), new to the Steamworks arsenal of brews this year is the intriguing Winter White Stout. 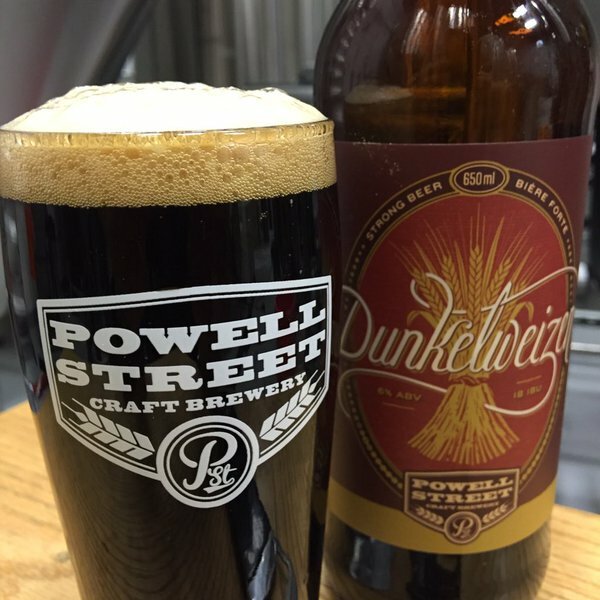 I have become a fan of dunkelweizens this winter season as it puts a spin on my favourite type of beers – wheats and weizens – and darkens them up for the holidays. That does beg the question why many winter beers are dark, when we’re trying our best to lighten everything up and avoid Seasonal Affective Disorder? Anyway, with flavours of chocolate, clove, and banana, this brew has me thinking of traditional German Christmases and celebrating the holiday in July. I can’t thank Mrs. Sip enough for putting this together for me. If you’d like to look back at the rest of the advent calendar beers, so far, you can find those articles here: Amazing Advent (Part 1) and Amazing Advent (Part 2).